Comments: Stacked crystals of Spodumene (Var. 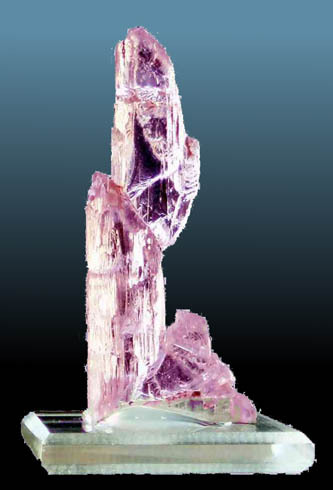 Kunzite). Location: Galileia, Minas Gerais, Brazil. Scale: Crystal size 7 cm.